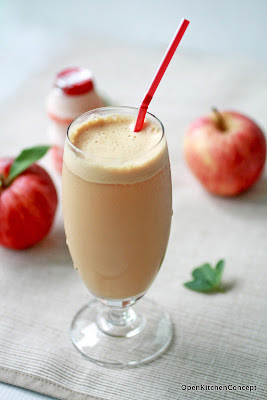 Another nice thing to do with those yummy New Zealand apples - Juice some and mix with a bottle of Yakult. If you juice apples that have come straight out of the fridge, this drink will be nice and cold even without any ice. Wow! You always have creative idea to come out with! So healthy drinks!